The Flying Engineer visited NFTI, Gondia, which is a CAE Global Academy, between the 16th & 18th of January, 2012. After spending 3 days on the campus / air side, seeing the facilities and interacting with instructors, faculty and students, he puts his observations down. This version is in general a comparison between IGRUA and NFTI, and why NFTI has risen to the top. A separate article on NFTI is on its way to the press for the Hyderabad Airshow issue (India Aviation 2012) of Airbuz, and will be linked on this page once it is out in public. In all the mess that has plagued Indian aviation, damaging its reputation for safety and hiring practices, there was a need for a revolutionary flight school that could make a positive difference to airlines with big expansion plans. As of today, the only airline which claims to be doing good in India is IndiGo, with a ever increasing Airbus A320 fleet size, which stands, as of March 2012, at 51, making it the largest operator of the type in India. IndiGo keeps things very simple, and clear. They operate only one airplane Type: the Airbus A320, with 180 seats all economy. Their approach to passengers, whom they prefer to call customers, has been very professional, and their promises to their employees have never been unfulfilled. They operate by the minute, be it the on-time performance of their flights or the commitments to their employees. Any experienced flight crew member of IndiGo will testify: they haven’t come across an airline as professionally run, in India. The one thing that IndiGo did not have control of was the quality of pilots that were hired. Everything about a future flight crew member with the airline cannot be judged in a matter hours, or even days during the interview process. This loophole haunted IndiGo with the discovery of few captains with fake Airline Transport Pilot Licences, one of whom baffled the community with a landing at Goa in early 2011 that was hardly a landing: the absence of a flare, making the nose wheel contact the runway first. Being professional, IndiGo swung to action, and in June 2011, signed a 5 year contract with CAE to train Ab-Inito pilots for Indigo. This is the first of its kind since the time private airlines were allowed to take wings: that an Indian airline has a cadet pilot program in place with a specific flight school in the country. The advantages are obvious. IndiGo itself chooses applicants into the cadet pilot program. 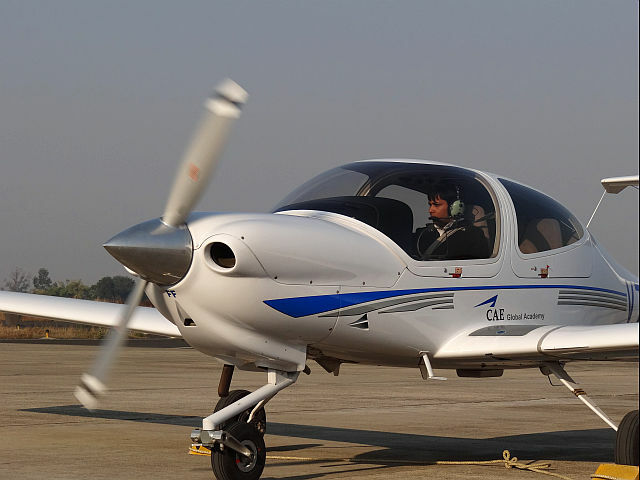 Above this, the airline has, to a large extent, control over the training quality at the exclusive flight school where the cadets undergo flying training: National Flying Training Institute, (NFTI), at Gondia, Maharashtra. The airline also keeps a tab on the progress and performance of each of its handpicked cadets. This way, IndiGo ensures that the quality of at least part of its pilot intake is totally under its sole control. It is this relationship with the flight school, NFTI, that has propelled the latter to the #1 flight school in the country, a position that was previously held by Indira Gandhi Rashtriya Uran Akademi (IGRUA), at Rae Barelli, UP. What makes a flight school the best? There’s an arguable bottom-top approach to this. The foundations of a flight school rest on its fleet, its instructors, and its facilities, necessarily in that order. The fleet is the most important of the three. It is on the aircraft that you learn flying, and the use of its instruments. An aircraft that is too advanced will set the student back by many hours, just to master the aircraft. An aircraft that is too simple is hardly anything worth learning flying on. Flying demands your ability to multitask, to stay situationally aware, and to remain ahead of the aircraft. Remaining “ahead” of the aircraft is your ability to predict what the aircraft will do, much before the aircraft actually performs the desired action. An aircraft that is too fast will be hard to “stay ahead of”, for a trainee pilot. An aircraft with complex instrumentation has the same effect, and even worse: of getting him or her distracted. An aircraft that is unstable and tough to control will make the student focus too much on controlling the aircraft, and flying is much more than that. Few aircraft in the world hold the reputation as some of the world’s finest single engine training aircraft, simply because of the balance between all elements: aircraft complexity, aircraft handling, and aircraft safety record, all of which sum up to training effectiveness and safety. The Cessna 172 is one of them; and the Diamond DA-40 is another well known aircraft. Cadet Anunaya preparing for his solo flight. Between the DA-40 and the Cessna 172, both of which fall in the same airplane category (in terms of weight, seating capacity and engine power), the Diamond Industries DA-40 is slightly superior. Unlike the all metal 172, it sports composites, which make the aircraft light. A lighter aircraft with the same engine power makes the aiplane fly slightly faster, and climb quicker, which is good from a safety perspective. The DA-40 has a variable pitch propeller, which makes the airplane slightly more complex. 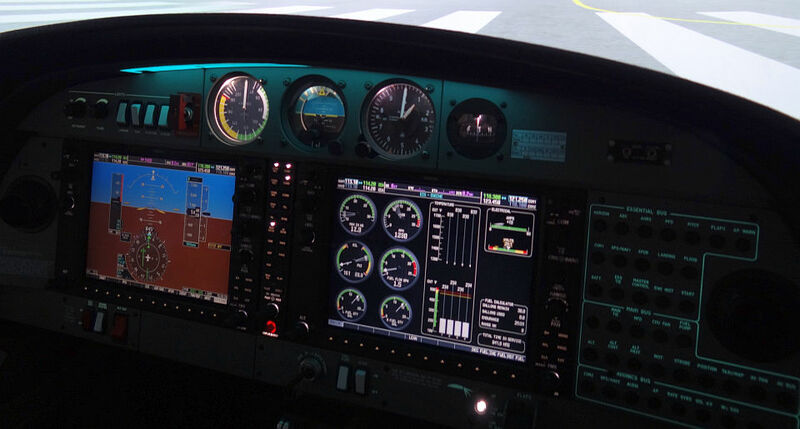 Both aircraft sport the same modern instrumentation system: the Garmin G1000 “glass cockpit”. A glass cockpit allows you to fly with instrumentation that is more on the lines of a modern airliner, preparing the student for the complex cockpits of today. Remember, when you fly solo, you do so on your single engine aircraft. Having a good aircraft is great, but a good aircraft without a good instructor is detrimental to your flying training. Your basics are picked up in the air, under the guidance of your flight instructor. If the quality of flight instruction is sub-standard, it will have an impact on your flying skills and the safety of both yourself and the passengers you carry in the future. Nothing substitutes experience, and arguably, some of the best instructors are those from the Indian Air Force. With thousands of hours under their wings, and with experience on airplanes right from a simple slow piston engine two seater to complex fighter jets that fly faster than the speed of sound, they will be able to deliver the basic of flight very well. Their flying training is unparalleled. Most civilian instructors, on the other hand, do not come with as much experience. The flip side to having your instructor from the Air Force is that he (yes, definitely masculine) would have flown with rules that bear little relevance to civil aviation flying. The procedures are different, the radio calls are different, and the emphasis is on the air force school of thought. This may not be true with all instructors, but the natural tendency is to instruct in lines with the Air Force Officer’s training. A pure civilian instructor on the other hand will train keeping purely civilian rules, regulations and procedures, which is what matters most. With good aircraft and the right set of flight instructors in place, what matters next is the environment in which you learn flying. Airline flying is all about instrument flight rules, and the only way to master instrument flying is by using it frequently. Having unlimited access to ILS & VOR Navaids makes all the difference between a pilot and a proficient instrument pilot. 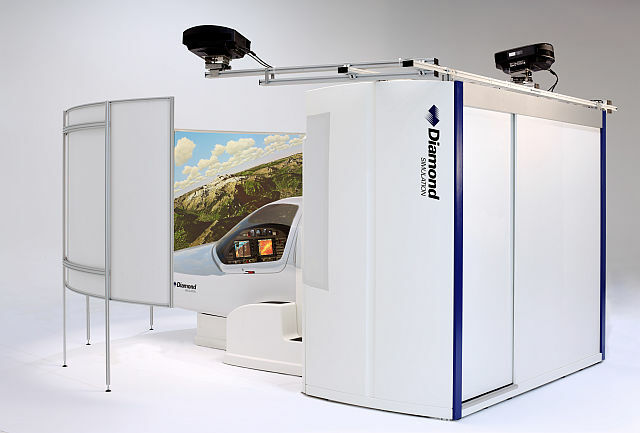 A DA-40 Flight Simulator from Diamond Industries. spent in the air practicing in a demanding and real environment rather than wasting time learning what can be done on the ground. This also improves flight safety. The airspace in which one flies also matters. A controlled airspace with a qualified Air Traffic Controller placed cadets in the real environment right from the start. Not to forget Maintenance. The personnel and their practices can make a big difference between a flight school with shoddy]ily maintained aircraft and one that stresses on high level of safety. Of all the flight schools in the country, IGRUA and NFTI have the right ingredients to make them the best; and that they are. They both have Diamond DA-40 single engine aircraft, and Diamond DA-42 multi engine aircraft. The two planes have very similar cockpits, which puts the cadet at ease and prevents time wastage in cockpit familiarization. IGRUA had primarily retired Air Force flight instructors, which might give students an experienced instructional edge over NFTI cadets. However, the number of civilian instructors at IGRUA are fast rising, placing NFTI and IGRUA on almost the same platform. 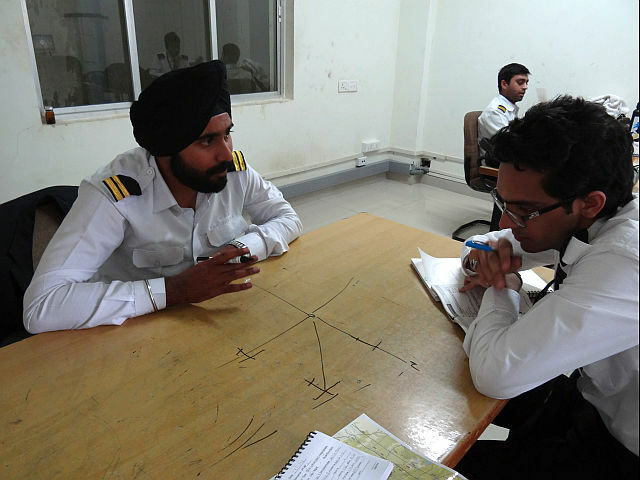 Indigo Cadet Pilot Abhimanyu Sansanwal being debriefed by Flight Instructor Baltej after a flight. Both flight schools have excellent facilities, with DA-40 and DA-42 flight simulators, excellent ground school staff and classrooms, VOR and ILS Navaids, Class D airspaces, and approach procedures through published Jeppesen Charts, which are followed to the word. Both flight schools strive toward making fine airline pilots and both excel very well at that. Both flight schools are CAE Global Academies. Of the 11 flight schools globally that are part of the Canadian Flight Training giant, these two are the only such schools in South Asia, and two of only three such schools in Asia. To be part of a CAE Global Academy speaks something: and what comes out is quality in flight training. With these, it is evident that IGRUA and NFTI stand out as the best in the country, with no apparent differences between the two. With such a close tie, we shall now turn to what matters most to a student at the end of his flying training, after having invested a heavy sum of around Indian Rupees 30 lakhs. After the flying training, cadets emerge as qualified CPL holders. The “C” in CPL is Commercial; finding a job after investing a huge amount in training is paramount. IGRUA has been around from 25 years, and has normally catered to Indian Airlines and Air India, who would visit the campus and pick students. There weren’t many graduating back then; around 40 per year, in stark comparison to 100+ per year today. The poor financial health of the airline prevents it from recruiting any more, and even those who had previously got offer letters from the Maharaja are still waiting to hear more about when their training commences. In short, the placement scene at IGRUA today stands bleak, and will remain bleak until the school acts fast. In sharp contrast, NFTI, which is a 3+ year old flying institution, places all its students with primarily one airline: IndiGo. This is achieved through two ways. The interested can apply for the IndiGo cadet pilot program, and those who are selected are granted a job with IndiGo airlines as a trainee first officer as soon as the entire cadet pilot program is completed. One may also enroll for the normal CPL course, and then apply to IndiGo through the CAE Type Rating program, upon course completion at NFTI. There are few differences between the two paths. Through the cadet pilot porgram, one pays only Rs 5000 for the entrance test. Once cleared, the cadet, for all practical purposes, has a job waiting for him/her at IndiGo. During the CPL course that lasts upto 17 months, the cadet is paid a monthly stipend of Rs 15,000. Upon CPL course completion, the cadet is paid a monthly stipend of RS 25,000 during the Airbus A320 Type Rating Program. Thereafter, the cadet is absorbed with the airline as a trainee first officer with a monthly salary of Rs 75,000, which gets revised to about double that amount once released as a first officer. The whole course costs about 30 lakhs for the CPL, and 15 lakhs for the Type Rating. Through the other channel, the cadet is unsure whether or not he will eventually land up with IndiGo. Of course, an understanding between NFTI and IndiGo makes the chances of not getting in very thin. The CPl course fee is the same, of around 30 lakhs, which can be paid in instalments, just like in the cadet program. Upon earning his or her CPL, one can apply to IndiGo via CAE, for the Type Rating program. Upon selection, the type rating fee of INR 15 lakh must be paid, and upon successful completion, the type rated pilot is absorbed into the airline as a Trainee first officer. The cadet pilot program is a much better alternative, as considering the stipend, the fee can effectively be reduced by INR 3.3lakhs. Plus there is the absolute certainty of a flying job waiting for you. There is a third option for NFTI cadets, and that is with Qatar airways. Those NFTI cadets who have a CPL and have cleared their ATPL papers are called to Qatar for an interview, clearing which the cadet is absorbed into the airline; the airline footing the bill for the A320 Type Rating. This is a much cheaper alternative for the interested., but significantly more effort is needed. Rumors are abound that Qatar Airways is planning on a Cadet Pilot Program as well, with NFTI. Through this, Qatar will foot part of the CPL bill and the entire Type Rating cost. However, the selection criteria is tougher. NFTI and IGRUA stand at almost the same level of flying training today, thanks in most part to the standardisation introduced by CAE. IGRUA has from the last 25 years been producing some of the finest pilots in the country, but recent passouts are having a tough time finding a flying job. NFTI is very young, but the standards set by CAE have brought it to a level equivalent to that of IGRUA. In addition, however, is the excellent understanding that NFTI has with IndiGo and Qatar, which works favourably in placing the school’s pilots. And cadets programs such as this are a triple win situation: for the aspiring pilot, who sees the returns on his investment immediately; for the school, which attracts more students; and for the airlines which are empowered to control the quality of its flight deck crew. An IGRUA's DA-40 registered VT-FGJ taxies out, while NFTI's DA-40 registered VT-NFB is ahead of it in the taxiway. Thank you very much, Mr. Pradeep! Necessary action has now been taken. Dude, THis academy was in a good standard until batch 17, after that, they recruited approx 40- cadets every 3 months and kept the aircraft fleet number the same as before, pathetic planning for maintenance work and it was very annoying. I met the guy who wrote this article, and Mr Aman, in this photo above was a batch mate.. as far as i know, none of the cadets after batch 5 got a job yet. well the indigo guys ofcourse have a bit more of expectation than others.. 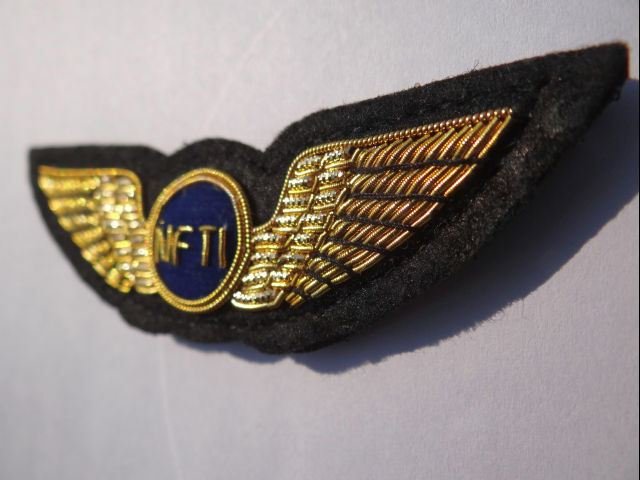 Illusion : A sweet female voice asking you to join NFTI and all job contracts promised as well as A 320 type rating discounts and world class facilities and flying everyday. Reality : Once you join ..A harsh old man asking you to leave the institution if you cannot cough up the 6 lakhs as a part of increase in fees and you begging the staff at flight school for slots. No type rating discounts. TRUE TRUE TRUE!!! I used to fly there!~ Argh! Pathetic school! I was raised abroad and hearing the name CAE which is well reputed, I trusted them. But the academy made me out of words! Literally! The instructors abused in hindi, much of which I did not understand until later on! I left and did my flying in the United States, since NFTI greatly compromised quality for quantity! Any idea about the entrance exam syllabus for indigo cadet program? It’s not mentioned anywhere on the website. Mr.Pradeep A very Focused and Detail Article About Both Top End Institute Appreciate The Good Time Of yours To this Article. I am the cadet of BFC can i apply indigo cadet pilot programe? Is it only for 5 years ?